But I have to admit, I kind of liked “Deadpool 2.” Its plot is fresher than the first movie, and this time, I really dug the movie’s wild, take-nothing-seriously, “meta” explosion of silliness. The first film introduced Wade Wilson (Ryan Reynolds) as both the victim and beneficiary of a bizarre experiment that leaves him with superhuman accelerated healing abilities, but also alters his Ryan Reynolds-fresh-faced handsomeness. So he wears a full body suit and, under the title name, goes around fighting bad guys. Now that that’s all been established, the sequel is free to wander into less expected territory. The big bad in this one is a time-traveling hunk played by Josh Brolin, and yes, if you’re expecting Wade to snarkily comment on the fact that Brolin is currently also playing the big bad in another Marvel movie the next theater over (albeit in a Marvel universe that is not officially connected to this one), you won’t be disappointed. When the joke came, though, I did wonder if it was a late ADR addition. That’s what’s most fun about the Deadpool character: He’s not restrained by competing cinematic comic book universes — he can crack jokes about all of them. DC, Marvel, Fox, Disney, it’s all fair game to mock. And this time around, I enjoyed it. As this is a Fox release, “Deadpool” is technically connected to the “X-Men” movies, and there are a few B-grade “X-Men” characters that show up in somewhat big roles this time. But being in the same universe doesn’t mean it takes it any more seriously: “Deadpool 2” sends up the somber finale of “Logan” in its very first moments. If you were annoyed (as I was) by the pathetic characterization of Vanessa in the first movie’s script — she’s a paper-thin adolescent male fantasy woman, lacking anything resembling agency or complexity — you won’t find anything better in her treatment in “Deadpool 2.” But she’s also in the movie considerably less, so that’s one solution, I guess. I’d prefer they had just given actress Morena Baccarin a real part instead. 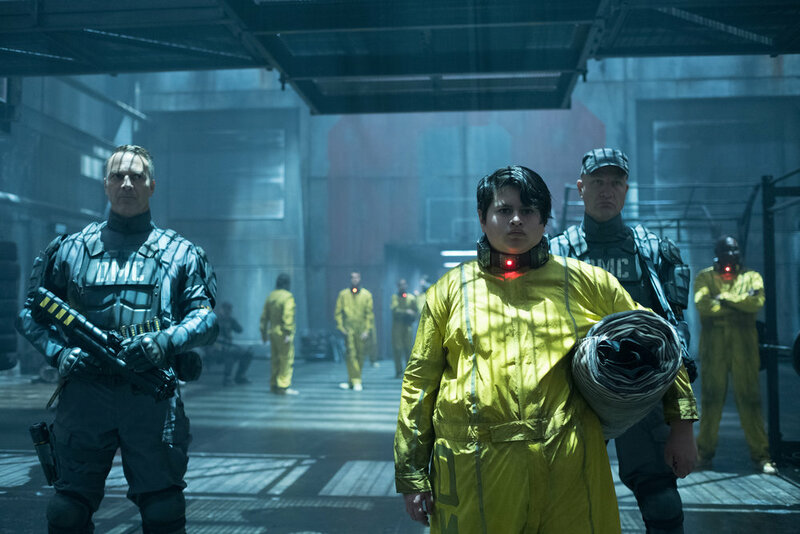 The sequel’s secret weapon is the young actor Julian Dennison, whom I loved watching in “Hunt for the Wilderpeople.” Here he plays Russell, a troubled teen with powers of his own to deal with, and with some similarities to his “Wilderpeople” role, actually. He’s a joy to watch, and he has great chemistry with Reynolds. I was glad to see that Russell is a major character. Everything about him really works. Your mileage may vary on this movie, or its many jokes. But many of those jokes worked for me — including what may be my favorite end-credits sequence of any superhero movie — and Reynolds really is good at comedy. But someone had to let some air in the room of superhero cinema. Everything is so important (and deadly) in this genre these days. Sometimes it can be nice to let loose. That’s Deadpool’s most heroic act: He’s the one who is brave enough to not take this stuff so seriously.